This terrible winter is finally over! The warmer weather has started and we’re finally getting our roads and yards back. This time of the year always feels refreshing and inspires us to get our homes cleaned. 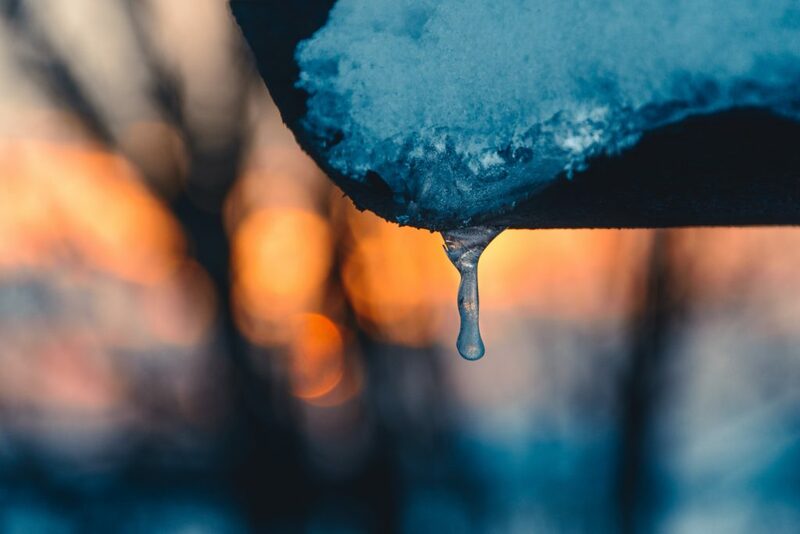 Outside of your standard cleaning tasks, it’s important that you make an effort to prevent damage to your home as a result of the seasonal change and the weather side-effects that come with it. 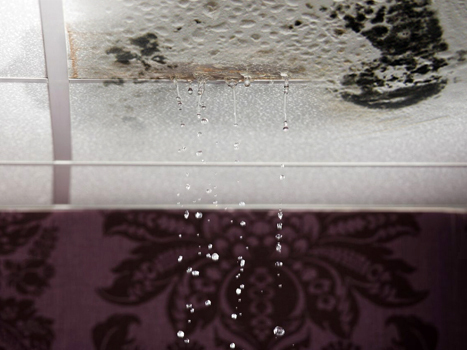 Here are some tips for preventing water, fire, and mold damage. Minnesota had a ton of snow this past winter. A record amount of snow, in some places. Now that the snow is melting, we’re finally starting to see our lawns again and it’s very exciting. The problem is that the water from all of that melting has to go somewhere, and unfortunately it could cause water damage and even flooding. To prevent water from getting into your home, check out your roof to make sure you’re not missing any shingles and check any vents or windows for damages. In addition, inspect all of your pipes and faucets to ensure they weren’t frozen and ruined over the winter. Finally, check your doors and windows for any cracks or separation. If you have a basement or crawl space, you’ll want to clean the gutters to allow for proper drainage. Examine your home’s foundation for cracks and use caulking to fill in any problem areas. In addition, it may be necessary to fix the grading of your yard that runs alongside your house. This can be accomplished by adding compacted soil to help guide water away from home so it doesn’t pool around the foundation and seep into your basement. It might seem strange, but fires are more likely to happen during the fall and winter months. That being said, fires can happen any time throughout the year. Since you’re already planning on doing spring cleaning, it makes sense to focus some of your attention on preventing fire damage. The most obvious starting point is to test your smoke and carbon monoxide detectors and replace the batteries. Next, inspect the chimney to make sure it’s not damaged or clogged. While you can do this yourself, we strongly recommend you hire a certified professional to give it a proper inspection. Finally, make sure your dryer vent isn’t clogged and clean it out if it is. Clothes dryers can cause fires if they aren’t venting properly. Mold is nasty and could make you sick. Beyond that, mold damage can wreak havoc on your home. With all of the storms and melting snow that come along with the spring season, it’s very easy for mold to grow in damp areas of our homes. All of our flooding & general water damage tips will assist you in fighting mold growth, but there are a couple more things you should do at minimum. First, dry any wet areas of your home with fans and set up dehumidifiers in areas that are more susceptible to dampness, like the basement. Second, clean your walls with soap and water (if you’re already seeing mild mold growth, bleach mixed with water might be necessary). There are many other steps you could take to keep mold out of your home, but these two things are a great start that could go a long way when paired with our recommended water removal techniques. If you already have damage to your home from water, mold, or fire, you’ll need the help of a certified mitigation and restoration company. But you need to make sure you’re hiring a company with the proper experience and equipment to get the job done right the first time. UNGERMAN is the answer to your water, mold, and fire damage problems. UNGERMAN is a family-owned company providing full-service mitigation, restoration, reconstruction, and renovation. Our mission is to provide our clients with the highest quality of dependable services while carefully managing costs. We will provide accurate estimates, clear communication, and efficient completion of necessary mitigation and repairs in order to complete projects successfully. Through this process, we will build a solid relationship between the customer, insurance company, and UNGERMAN. Property Claims – Residential or Commercial, Is there a difference? Residential property claims and Commercial property claims can share many similarities. For instance, water, fire or storm damage can equally affect both types of property. They may also share many of the same building materials. When a business is shut down, business interruption insurance may kick in to help cover loss of income. When a homeowner is displaced from their home, they may require “Additional Living Expense” (ALE) coverage to pay for extraordinary costs such as hotel and food. Another commonality, all insurance carriers want to minimize claim costs! How can you minimize the cost on a property claim? First it’s minimizing the damage. Next, restore the property to functionality as quickly as possible. For a business, minimizing damage may involve having a disaster mitigation plan in place to quickly begin minimizing damage to property and operations. For a homeowner, this may entail shutting off the main water supply to mitigate further water damage. In either case, minimizing damage to structure and personal or business property is the first step! In most instances depending on the severity of damage, homeowners or businesses may require further assistance to restore their property. Water and fire damage is tricky. Finding and drying everything that is wet or cleaning and eliminating soot and smoke damage requires expertise and resources. This means trained professionals, special equipment or specialty sub-contractors. If a business has properly prepared for a disaster, their plan may already include a qualified restoration contractor resource. For homeowners, knowing who to call can be an unknown. Helpful friends or family members might pass along a suggestion. Perhaps the insurance carrier is aligned with restoration resources to recommend. Then again, an insurance agent or perhaps even the insurance adjuster may provide references. All restoration contractors are not created equally. Many can perform standard water damage mitigation services in a residential setting. However, not nearly as many can potentially mitigate thousands of square feet of commercial space effectively. Be prepared! As a homeowner start with your agent. See if he or she has knowledge of other clients experience with local restoration contractors. If you are a business, ensure you have a disaster contingency plan. Contact your broker for references or contact contractors directly to set up interviews. Hopefully you will never have to make a call to a restoration contractor. However, in the event of an emergency, being prepared and knowing who to call will put your mind at ease and get you on the course to recovery quickly. Are you going out to find that perfect Christmas Tree? If so, take a few minutes to review these safety tips. 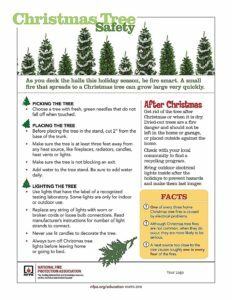 Information provided by the National Fire Protection Association. Check here for more information on Ungerman’s fire damage restoration services. Click here to view these safety tips.